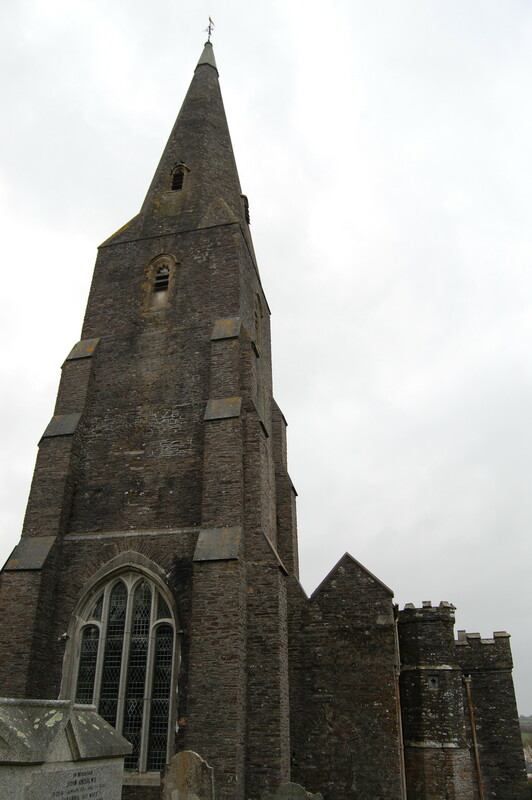 Roger also gave land to his son Reginald who was the Rector of Bradoc a parish between Bodmin and Liskeard. Their second cousin Thomas is on record as having presented Reginald to St Mary’s in Truro in 1333. This Thomas was the son of Reginald, second son of Richard and brother of Baldwin and Geoffrey Reginald and who died in 1343. Just before his death, Roger the Sheriff executed a deed, dated 29th September 1291, which gave his son Thomas an inheritance. This had not been arranged at any time prior to Rogers deathbed scene. What had Thomas done? Peter was the closest to his father Roger and took part in all of these arrangements. The allocation of land and dealing with family problems were as much to do with Peter as with Roger. Peter was 31 years old when his father died and the mantle of responsibility passed easily to him. Now Peter was the patriarch of the family. He ran the finances and supervised the running of the farms. The problems of the farm tenants were brought to him to deal with; he would have had an estate manager of some sort to help him with this. It is likely that he would ride on his own horses to visit tenants and check the work of the men and women he employed. As his family before him, the workers were reliant on Peter and his good graces in order to live somewhere and eat. They were in awe of him and I hope he respected them too. Peter and his family would know about the births, marriages and deaths of each of his tenants and they in turn would have known all about their masters. Peter died in 1316 leaving a young son called Roger. It is likely that he was buried at Ermington whether he lived at Flete or Orcheton. I have not found his grave, but few from this period in time are visible. The tenants and workers would have attended his funeral along with his peers. As far as the county of Cornwall was concerned, now was a turning point in history. Edward III set out in a constitution that the Duchy should come to the eldest son upon birth. It is still in force today. After his death in 1307, Edward II installed his very close and personal friend Piers Gaveston, as Earl of Cornwall. Edward II was killed in a terrible way, and one of the supposed traitors Roger Mortimer fled to France and became the lover of the Queen Isabella. They returned to England and took the throne as guardians of Edward III. It was this Roger Mortimer that some believe was the father in law of one of our direct relatives, as mentioned in a previous chapter. Some historians are also convinced that Edward II was not killed, but fled to Europe and became a monk and hermit. This connection cannot be definitely proved and it seems more likely that it was an ancestor of Roger Mortimer, who married into the Prideaux family. The connection though has been repeated in several pedigrees over the years. This branch of the de Pridias family still had lands in Cornwall, which were included in the holdings of Geoffrey. The link with Cornwall carried on for centuries. Even though the eldest son of Richard, brother of Geoffrey, inherited the vast majority of lands in Cornwall, subsequent Devonian Prideauxs kept some Cornish land either by inheritance or by marriage. On a fact-finding mission, we had been driving around for a number of hours, visiting churches and photographing churches. Again. I was playing my irritating game of pointing at places and saying, we used to own that. Mainly, because we did. Then, after going over a bridge and passing a driveway to a castle like building to the left, I said we used to live there, and meant it. I have been to visit the building and grounds. The main building is converted into luxury apartments and it is spectacular. I arranged to visit this house, one rainy afternoon in August. David Sparks met us at the main door and showed us around. This house was built after my ancestors moved away from the area. 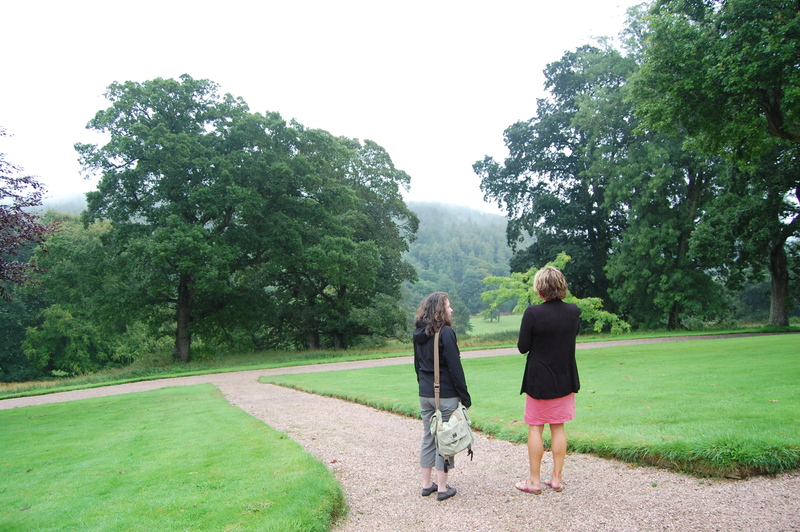 The site of the original house was on higher ground only a little further away from the place I visited that day. 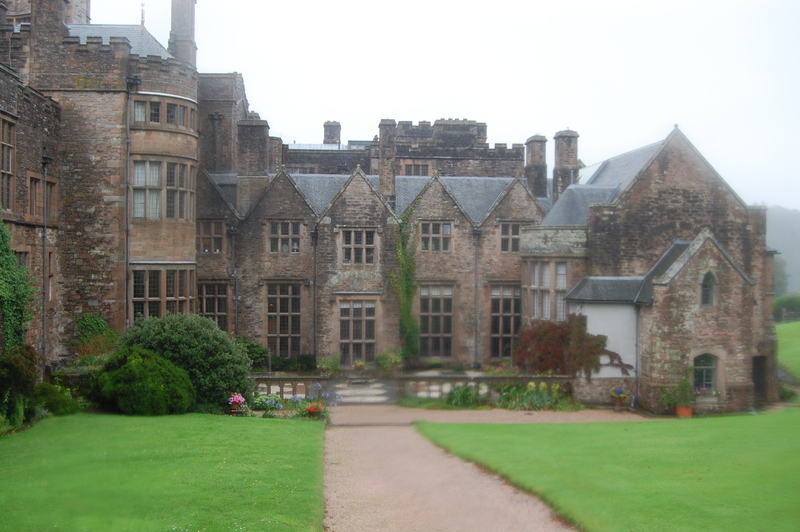 Flete House, built mainly in Tudor times is on a raised ground above the creek, an inlet from River Erme and the sea. In times past, it was possible for small ships to navigate their way to the bottom of the very large grounds. Limestone, coal and other supplies were brought from the continent and other areas of England. The barges came as far as the weir until quite recently and there were two carriage drives, one either side of the River in order to bring goods to the house. Access by sea was so much easier than by the narrow lanes of the countryside. These lanes were impassible by anything other than a pack horse. There are still lanes in the locality, where it is only just possible to get a car through, that being only possible when the hedges are cut well back. Without standing on top of the car, one cannot see over the top of the hedge. It is perfectly understandable that during the Civil War, one band could get within feet of another without being noticed. 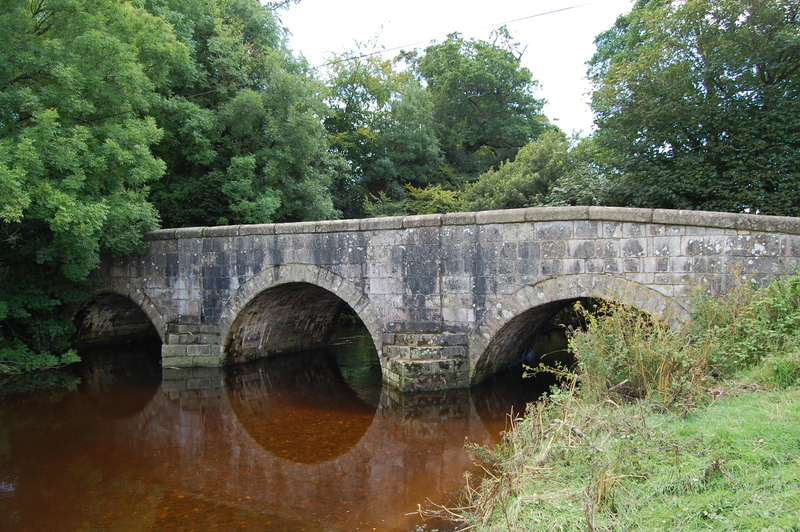 Flete Estate and the bridge over the river known as Sequers Bridge created a very dramatic event in the future for the Prideaux family. 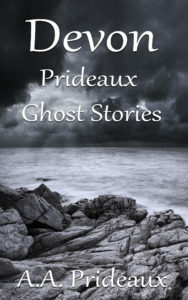 More can be found out about Peter in the story The Mothecombe Coven in the upcoming book Devon Prideaux Ghost Stories to be published in June 2017.